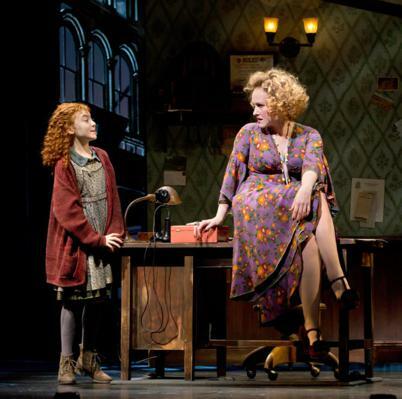 Lady And The Blog had a chance to catch Annie on Broadway and it was quite a treat! If you have a tween kid, this is a must-see for the holiday season. Actually, this is must-see for the holiday season, no matter who you are. I found myself completely sucked into the story. If you’re not familiar with the storyline (firstly, where have you been?! ), it’s the story of little orphan Annie who steals the heart of a very wealthy man, Daddy Warbucks. I won’t spoil the ending but it’s a beautiful Christmas story, complete with a bad guy or three and tons of cute kids. 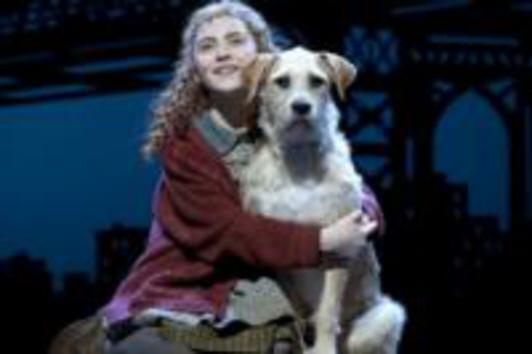 Annie on Broadway was a true delight. The cast was simply amazing. Half of the cast is made up of children under the age of 12. I was in awe at their acting abilities. These little kids completely transformed themselves into characters of the stage. The star, purposely and otherwise, was the actress who played little Annie that night, Taylor Richardson. Not only was she right on the mark in her portrayal of this classic character, she was also ridiculously cute and relatable. I really wanted her to be happy, not just because she’s a child but also because she seemed to have such a good heart. The fact that she memorized all the lines to this beautiful classic was even more incredulous, for me. I heard through the grape vine that Taylor was actually an understudy. This was only her 3rd time on for the role. Can someone hand this girl a Tony? The show was chockful of delightful songs that were performed perfectly. Everyone, from the evil owner of the orphanage to Daddy Warbucks, explained their story further in song, much to everyone’s delight. 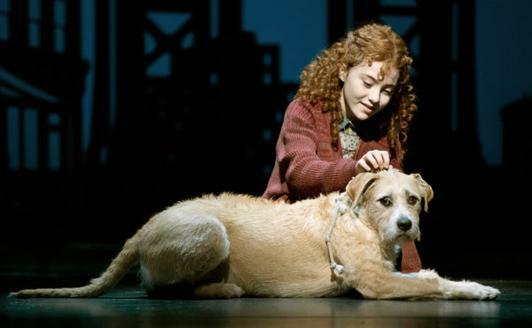 Again, the most praise has to go the incredible voice of the actress who played Annie. The pipes on that girl! 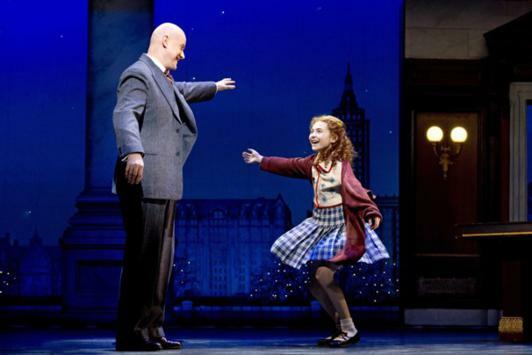 If you’re in New York City for the holidays, get a ticket to Annie on Broadway. You, your tween child and your inner one, too, won’t regret it. Click here to read more.